5 Tips for Protecting Portland Trees from Invasive Plant Species | Mr. Tree, Inc. 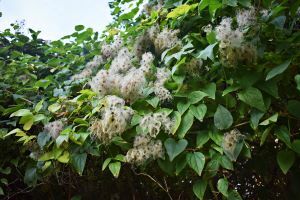 While caring for the trees in your Portland backyard, you’re probably aware of the threat that can be caused by insects, weeds, diseases, and weather, but you might not anticipate the havoc that invasive plant species can cause. 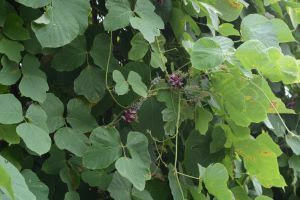 As the name suggests, invasive plant species refer to plants that are not native to the region. They are “invaders” that are, often, unintentionally introduced to the vicinity. There are various ways through which invasive plant species can find their way into your backyard. For instance, birds or wind might carry the seeds, or people might carry them on their clothing, shoes, or bags. There are also instances when homeowners unknowingly plant them in their backyards. Once introduced, these species reproduce, multiply, and spread at a rapid rate, thereby posing a threat to trees, wildlife, infrastructure, and human health. Did you know that the Oregon Invasive Species Council estimates that invasive plants cost the US economy $120 billion dollars annually in lost crop and livestock production, control efforts, property value damage, and reduced export potential? That is an alarming figure and calls for immediate attention. This biennial is known to make thousands of seeds and spread at a rapid rate, while forming dense patches and displacing native trees and plants. They grow along disturbed areas, such as roads; along streams; and in healthy forests. As a single plant can produce over 5,000 seeds, they are extremely difficult to get rid of. This is a large plant with umbrella-shaped flowers. They stand erect and usually grow in unmaintained areas and roadsides. 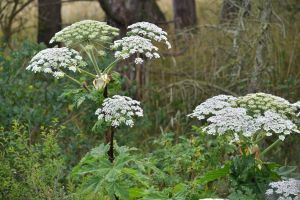 It is designated as a Federal Noxious Weed, as it produces toxic sap that can cause health concerns, including skin irritation and blindness. 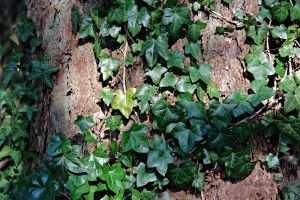 An evergreen vine with thick, waxy leaves, English ivy can grow along the ground or climb upwards in both shade and sun. Its small, root-like structures excrete a glue-like substance, which helps them attach to bark, walls, and other surfaces with ease. Once they start growing, they quickly overtake the vegetation, reduce habitat, and kill trees in the process. This fast-growing vine grows up to one foot per day. Kudzu can cover the existing vegetation and structures in its path. This is a perennial, climbing vine that spreads rapidly along areas that aren’t maintained. They form a thick layer on the ground and prevent the growth of any native vegetation. They are usually spotted during the winter and spread five to seven times faster than English ivy. From causing chemical changes in the soil and affecting water quality to leading to loss in biodiversity and inhibiting the growth of trees, invasive plant species have a detrimental effect on the environment, so if you grow trees in your backyard, beware of these plants, because the last thing you want is for your trees to fall prey to this invasive plant species. Your local nursery is selling seeds of a “wildflower,” and you decide to take it, hoping to grow an exotic plant in your backyard, only to realize that it was an invasive plant. This is a mistake that can cost you your precious trees. Be very careful about what you introduce in your yard. In your quest to grow something new, you might just cause harm to your existing landscape. In fact, if you notice anyone selling plants or seeds that seem vague or not native to you, be responsible enough to bring it to their attention, as once the seeds of an invasive plant species are sown, there is no stopping them from spreading and affecting native Portland trees. Devote a good amount of time and attention to the trees and plants growing in your backyard because it’s better to detect problematic plants early, before they cause serious, irreversible damage. Early detection helps you get rid of these species more easily and in a cost-effective manner. Considering the rapid rate at which they multiply, you also need to prevent them from spreading further. 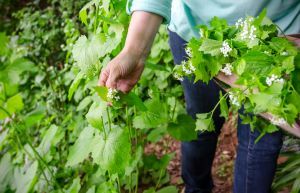 So educate yourself on the different kinds of invasive plant species that are common in Portland and familiarize yourself with how they look so you can identify them with ease. How many times have you gone hiking or fishing and not cleaned your shoes or outdoor gear on returning? Sometimes you can do everything you know of to protect your space from invasive plant species and still give rise to them without realizing that you might be the culprit. Yes, your hiking boots, outdoor gear, and fishing waders might just be carrying the seeds of invasive plants. So it’s essential to spray and clean all your outdoor gear so you can be doubly sure you aren’t inviting any invaders to your space. Your pets go places and maybe carrying seeds of invasive plants in their fur or paws. Check your pets for such seeds and keep them clean and healthy to get rid of these seeds before they find their way to your yard. The best way to combat invasive plants is to grow more native vegetation and maintain it by regular pruning, trimming, and shaping. When you do so, you keep your trees healthy and in the best shape and devoid of invasive plants. Worried about how to do this on your own? At Mr. Tree, we can help manage all your tree care needs. Having been in the business since 2000, our team of dedicated individuals promises nothing short of total customer satisfaction. So contact us today and strive to create a healthy environment around you.